Welcome to our St. Joseph Family! We are blessed to have you join us. You have made an excellent investment in your children’s education. We will have a plenty of people available to you to help get familiar with our traditions and culture. Please know that myself, our front office staff, parents, and teachers are all here to serve you and your children. Below are the steps to begin the process of enrolling in St. Joseph School. To ensure that we order the correct number of new textbooks, and other curriculum supplies, we ask that you please return the completed form by to Mrs. Ramirez promptly. If you would like to receive financial assistance please contact Mr. Hayes to set up an appointment at your earliest convenience. 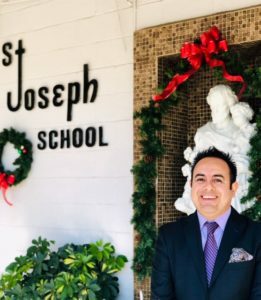 This will ensure that you will be able to receive assistance from the Bishop’s Initiative, The St. Joseph’s Fund and/or The Catholic Education Foundation for the upcoming school year. All forms will be verified and processed at your appointment with Mrs. Ramirez. However, if you have any questions before your appointment please feel to contact her or me at any time. 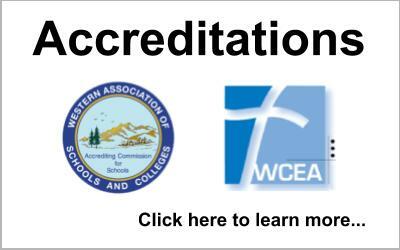 Thank you for your interest in and commitment to Catholic Education. 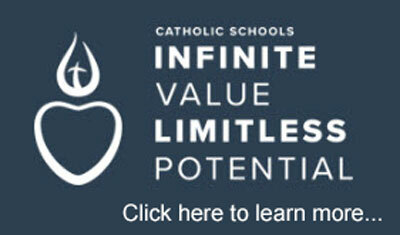 Thank you again for giving your children with the gift of Catholic Education. I look forward to partnering with you for many years to come in the development of your children’s faith and education.